So, your parents/aunt/uncle/friend/cousin/old buddy is in town and they want to go to a Broadway show. They’re convinced you buy tickets to Broadway all the time, and will get the best price, so they ask you to get the tickets. However, you live in NYC, you’re trying to make rent, you avoid Times Square at all costs, and Broadway never fits in the budget! You don’t know where the deals are! We’re here to help. The best way to get good seats at a Broadway show for a better price is to go when other people don’t go. Go in January, February, March, when the tourists aren’t here and the Broadway regulars are in Florida, or in September, when families are focused on getting back into the routine. If you have to go when the tourists are here, go on weeknights earlier in the week. Mondays – Wednesday nights have great availability almost year-round. But, really, avoid June – July as much as you can. Prices are highest and crowds are their absolute worst. Every Broadway show has a preview period before it officially opens where it is still sorting out the “final” version of the show. Changes are being made nightly, and they’ve usually only been in the theatre for a few weeks so there are kinks to work out. During this time, tickets are usually the cheapest they’ll ever be for a show, especially if it’s rumored to be a hit. Also, there’s something magical about previews, where the set might break halfway through, and you end up getting an impromptu Sara Bareillis concert. If you would rather see the show in its final form, find out when opening is and buy tickets for a performance after that date, but be sure to make the purchase before the show actually opens. Sometimes, you can get the preview price for a post-opening performance. And finally, if it’s rumored to win a lot of Tony Awards, definitely buy before the Tony Awards Ceremony, prices will go up. 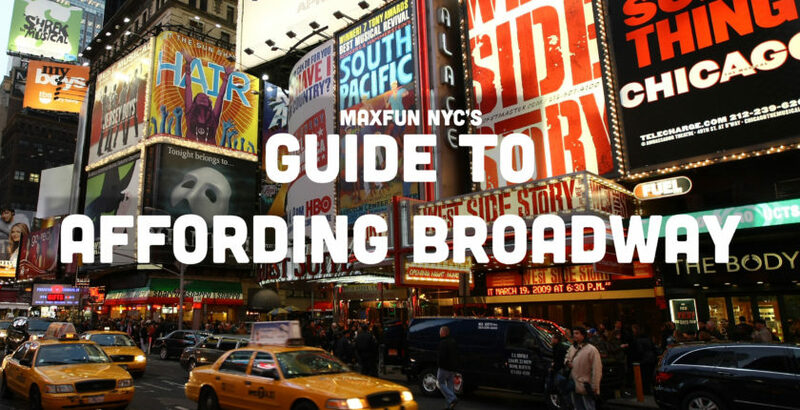 Broadway has discounts aplenty, and if you’re on the right lists, they’ll all appear in your inbox. Be sure to sign up for discount emails — popular Broadway sites with discount listings include Theatermania and BroadwayBox. And, when you buy tickets via Telecharge or Ticketmaster, agree to receive emails, as most of them will be offers for other Broadway shows they think you’re interested in. 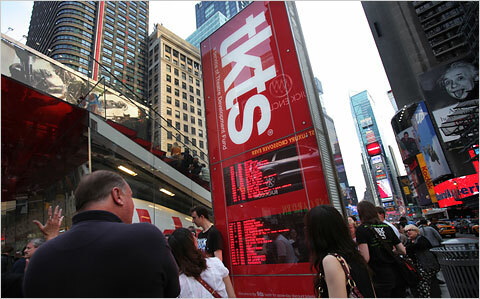 There’s also the TKTS booth, which now has locations all over the city, so you can avoid the long, long line at the Times Square location. One thing to know about TKTS – it’s operated by TDF (Theatre Development Fund), and TDF has a digital discount program that certain people (and not just theatre people) are qualified for. Find out if you qualify here, and get really sweet discount deals (all tickets less than $47). Shows will occasionally share special offers with fans, or even give them exclusive access to a new batch of tickets, via newsletters. (Hamilton and Dear Evan Hansen are prime examples of the latter, get thee to the newsletter sign up!) They’ll occasionally do promotions via social media as well, so make sure to like and follow all their channels to get the inside scoop. You can’t bank on these for when friends and family are visiting, but the digital lotteries are a great way to see a show if you’ve got a free evening and $35 – $50 to spare. The rules about the right time to go apply to lotteries as well; you’re more likely to win on slower weeknights. However, one thing that must be emphasized: only enter a lottery if you can actually go. And if you win, GO SEE THE SHOW. Digital lotteries are a luxury that shows are in no way obligated to provide, and if people abuse it by entering a bunch, and not going to any they win, then we may see digital lotteries become a thing of the past. Now, armed with this knowledge, go forth and see some shows!